Last week more than 50 dogs were rescued from a New York puppy mill. Now the Oswego County SPCA is seeking donations and foster homes for the rescued dogs. A breeder in the village of Hannibal, New York handed over 50 huskies and 2 golden retrievers. Some of the dogs had been kept in cages for so long that they weren’t even able to walk. “This was a horrific situation,” said president of the Oswego County SPCA, Tanya Semchenko. Several rescues have stepped forward to help take care many of the dogs. Oswego County SPCA still has ten of the dogs. HEART Animal Rescue near Buffalo, New York took in 15 adult dogs and 18 puppies. Lollypop Farm in Rochester, New York took in five of the dogs. 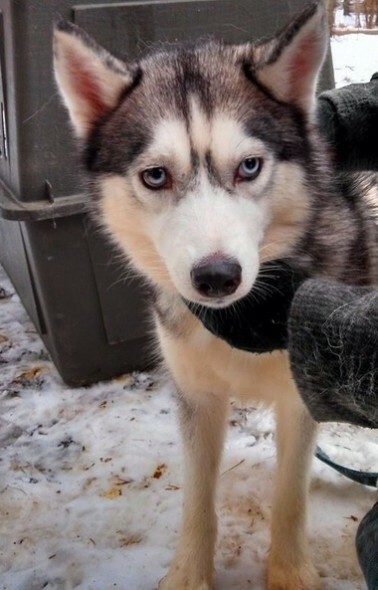 Northern Exposure Siberian Husky Rescue in New Jersey took two of the dogs and Paws Across Oswego County took the two golden retrievers. State Police are currently investigating the owners of the puppy mill. Oswego County SPCA is seeking donations to help cover the cost of food and veterinary care for the rescued dogs. Additional funds raised by Oswego County SPCA will be shared with the other rescues that are caring for the dogs rescued from the puppy mill. Anyone wishing to make a donation can visit the Oswego County SPCA’s website.